While the day of celebration only happens once per year, you can support women in sport all year round. 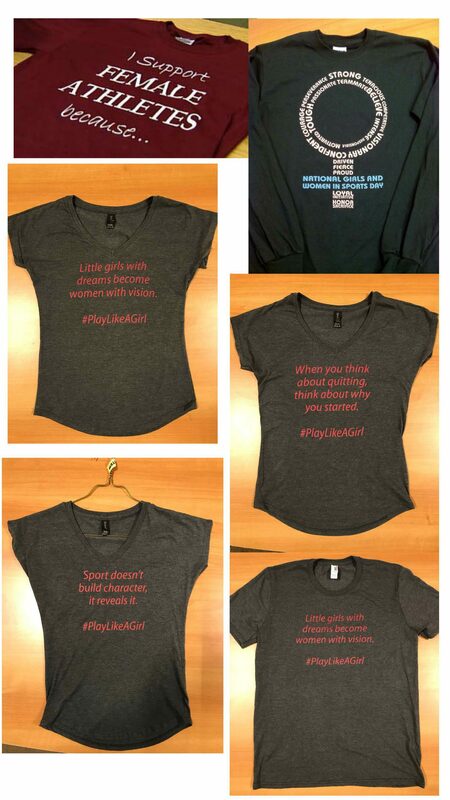 What better way to do that than to wear one of our NGWSD t-shirts! Revenues go to support our efforts to recognize female athletes in the region. We have several styles of t-shirts in adult sizes. Our original design “I Support Female Athletes Because” has limited sizes left, but other designs have a range of sizes available. See the order form below for full details about the shirts.